This Large Hookah Review by Evolution Hookah is the most up to date review yet in 2015 for Large Hookahs online. Join the top glass hookah experts for this detailed and in depth review on the top 3 best large hookahs on the market today. This beautiful glass big hookah sits at a whopping 18″ tall with a 7″ diameter base. The thick glass 7mm bowl is a great smoke for even the most experienced shisha smokers. Enjoy the top quality with this one of a kind piece. The Second Really Tall Hookah is actualley by another brand. This brand is great at making really tall hookahs. Khalil Mamoon is really making a splash in the hookah industry. It is really great to see other brands opening up and entering the broader markets of shisiha smoke. Large hookahs are a big thing now. This hookah might need to sit on the floor instead of the table because of the height. 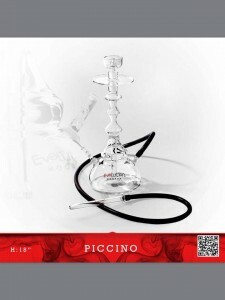 For more info on the best all glass hookahs for sale online or large hookahs online for sale hit up #EvoHookah we are number one on instagram too so check us out there. Don’t forget about our #EvolutionHookah twitter account also! See more at Evolution Hookah website.